Animator and director Genndy Tartakovsky has created some beloved fan-favorite animations over the past decades, including Dexter’s Laboratory, Samurai Jack, Star Wars: The Clone Wars, and most recently Hotel Transylvania. 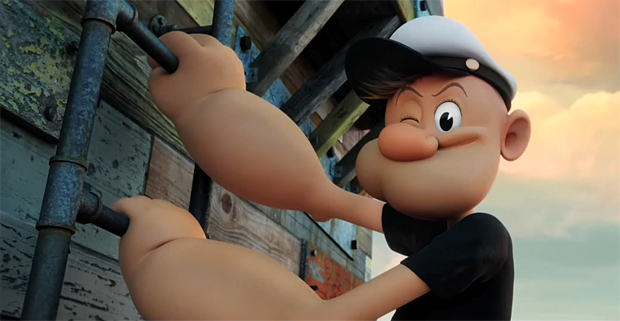 Now, together with Sony Pictures Animation, Tartakovsky has put his skills to the test by reviving the classic Popeye cartoon in modern animation! Sony Pictures revealed the project on their YouTube channel, showing off a quick look at the animation in the upcoming project, as well as showing off some behind-the-scenes work with Tartakovsky and other artists. While the project has no finalized release date, this quick glimpse shows us that Popeye is back in action, and just as great as we remember him. Popeye originated as a cartoon character in comic strips starting in 1929, orignally featured as a side character in the comic strip Thimble Theatre before stealing the spotlight with his adventures and becoming the main protagonist. Popeye was eventually adapted into animated shorts in 1933, where Popeye would use his love for spinach to overcome his rival Bluto and attempt to woo their common love interest, Olive Oyl. The cartoon proved to be one of the most popular of all time, and continued to recieve a variety of animated spinoffs, movie adaptations, and a variety of merchandise over the decades.